This playlist features official videos of Whitney's biggest songs. Whitney Houston's very first No.1 single was Saving All My Love For You, which featured on her phenomenally successful self-titled, debut album. The song was the first of seven consecutive U.S. number ones. Whitney released two incredible studio albums during the 1980s which were the most successful of her career, selling over 45 million units worldwide between them. Whitney Houston was one of the biggest-selling music artists in the World, selling over 170 million singles, albums and videos. Her super-slick voice influenced countless other artists such as Celine Dion, Mariah Carey, Christina Aguilera and Jennifer Hudson to name but a few. Having the queen of soul, Aretha Franklin, as her Godmother surely must have inspired the American singer, actress, producer and model, who started singing in junior choirs at the age of 11. After releasing her first single in 1984 - Hold Me was a duet with Teddy pendergrass which was a big hit in the U.S. Hot R&B/Hip-Hop charts - she went on to achieve phenomenal success during the second half of the 80s and into the 90s. 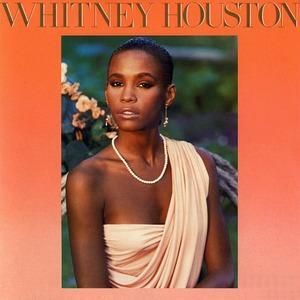 Whitney's breakthrough came in 1985 with the release of You Give Good Love, lifted from her self-titled debut album, the song reached #3 in the U.S., although it failed to break the Top 40 in the UK, stalling at #93. However, the song helped to bring the singer into the limelight and the following single, Saving All My Love For You, reached #1 on both sides of the Atlantic. After the release of the R&B chart hit Thinking About You which was released only on 12-inch vinyl and didn't enter the Billboard Hot 100, nobody could have predicted that the next six singles would all reach No.1 in her home country. Two of these were lifted from Whitney's debut album - How Will In Know? and Greatest Love Of All. The following four tracks featured on her second album Whitney - I Wanna Dance With Somebody (featuring that legendary 80s poodle perm), Didn't We Almost Have It All, So Emotional and Where Do Broken Hearts Go? The debut album was incredibly successful, staying at the top of the Billboard Hot 200 for fourteen weeks. It achieved 13 x Platinum in the U.S., Diamond in Canada and 4x Platinum in the UK. The album was also highly successful in many other countries and went on to sell around 25,000,000 units worldwide. The success continued with the release of the Follow-up album, simply entitled Whitney. Released in May 1987, this achieved worldwide sales of around 20,000,000, but was even more successful in many European countries, gaining 6x Platinum status in the UK and Platinum in France. The album spawned five hit singles, four number one's in the U.S. as already mentioned above, and a further single Love Will Save The Day which reached #9 in the U.S. and #10 in the UK. 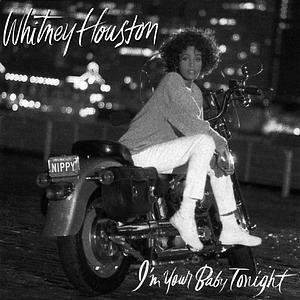 But Whitney's success wasn't just in the 1980s, it continued throughout the next decade with another two highly successful album releases - I'm Your Baby Tonight and My Love Is Your Love - which all achieved Multi-Platinum in sales in th U.S., Canada, and the UK. 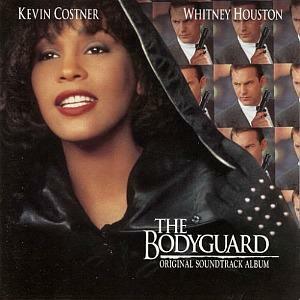 During the 90s the singer was successful with a handful of singles that featured on The Bodyguard Soundtrack. The first release, I Will Always Love You became the best-selling single of her career, and let her express the full potential of her powerful Mezzo-Soprano voice. A further four hit singles followed with , I'm Every Woman, I Have Nothing, Run To You and Queen Of The Night. Further success was to come with singles from another two soundtracks; Waiting To Exhale and The Preacher's Wife. Whitney also starred in all three of the 90s movies, of course. The Noughties saw another two studio album releases with Just Whitney and I Look To You, and although these weren't as successful as her previous albums, they still achieved Platinum in the U.S. 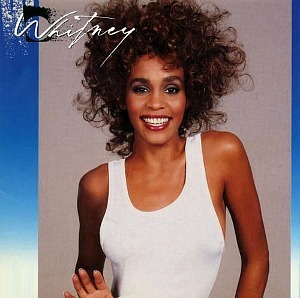 However, the compilation album Whitney: The Greatest Hits which was released at the start of the decade (in May 2000), was another huge success. It reached worldwide sales of around 10 million, gaining multi-Platinum in her home country and the UK. Sadly, on February 11th 2012 at the age of just 48, Whitney Houston was found dead in her hotel room at the Beverly Hilton Hotel, Beverly Hills, California. R.I.P. Whitney Elizabeth Houston - Aug 9, 1963 - Feb 11, 2012.